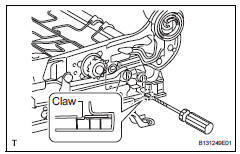 Using a screwdriver, detach the 2 claws and remove the cover. 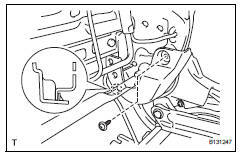 Remove the 2 screws and handle. 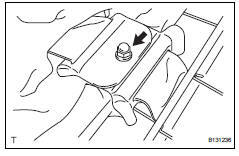 Raise the reclining adjuster release handle to reveal the claw. 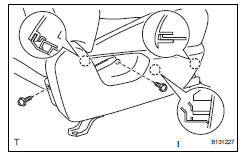 Using a screwdriver, detach the claw and remove the release handle. 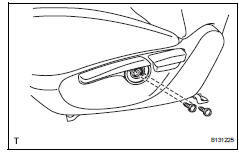 Use the same procedures described for the driver side. 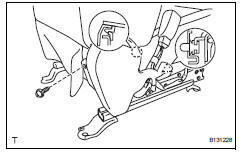 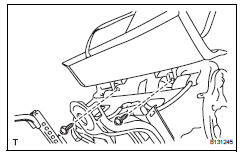 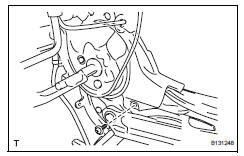 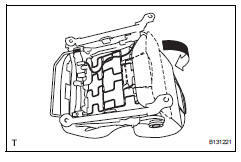 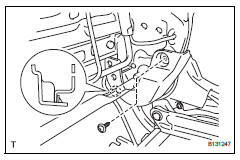 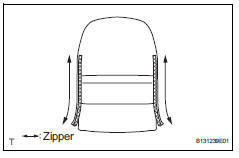 Disconnect the 2 rubber bands of the front seatback board or front seatback cover from the front seat frame (with adjuster). 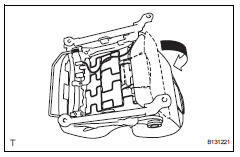 Using a screwdriver, detach the 3 claws and remove the cushion shield. 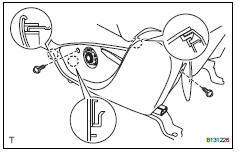 Using a screwdriver, detach the claw and clip. 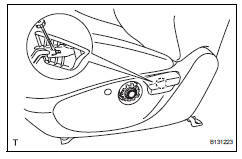 Then remove the inner shield. 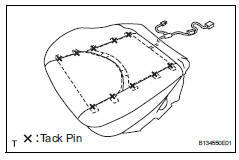 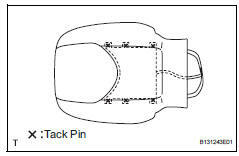 W/ seatback board: using a screwdriver, detach the hooks. 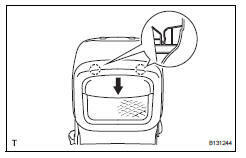 W/o seatback board: open the 2 zippers. 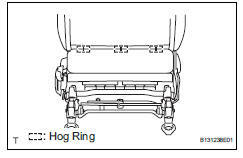 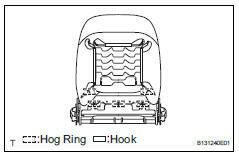 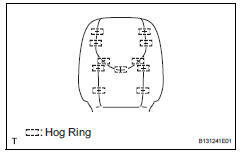 W/o seatback board: lift up the seatback cover and remove the 3 hog rings. 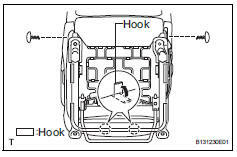 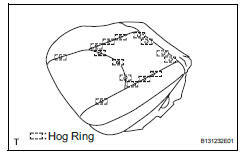 Using a screwdriver, detach the claw and remove the lower shield.